At __Henry's Kitchen__ we've earned an excellent reputation for our unique and original recipes. Set menus are also available if booked in advance. Daily specials are updated frequently. Please call in advance. We are open Wednesday to Sunday for dinner 5pm-9pm, and closed Mondays,Tuesday and Holidays. Reservation ONLY. you may have noticed we are asking more people to pre-order their meals. 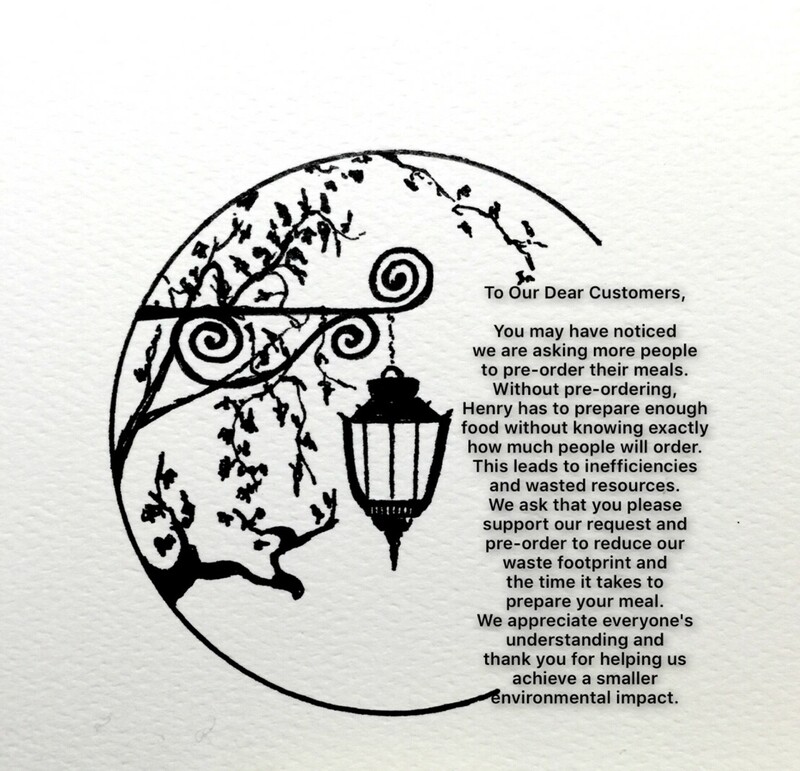 without pre-ordering, henry has to prepare enough food without knowing exactly how much people will order. this leads to inefficiencies and wasted resources. we ask that you please support our request and pre-order to reduce our waste footprint and the time it take to prepare your meal. we appreciate everyone's understanding and thank you for your helping us achieve a smaller environmental impact.